No refunds for cancellations within 48 hours or jumpers pulling out at last minute. This is the ultimate fun packed half day tour. 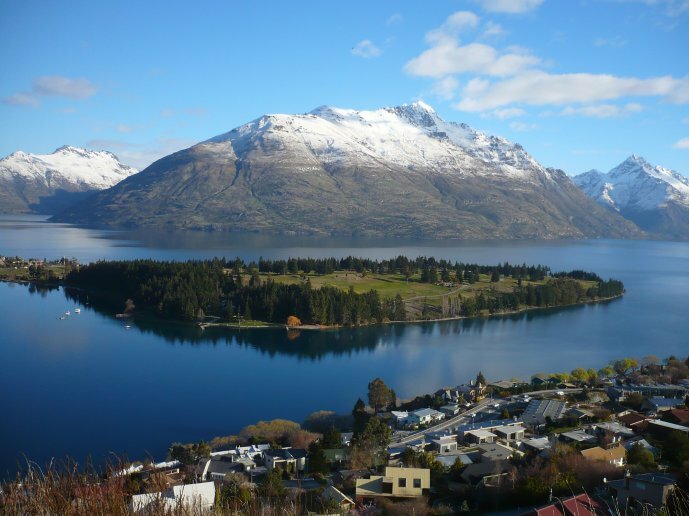 No where else can you combine the adrenalin of bungy jumping and jet boating with the relaxing pleasures of wine tasting and sightseeing around Arrowtown and Lord of the Rings film sites. All this in a half day tour allowing the rest of the afternoon free to kick back and relax or keep the energy going with maybe a skydive or a parapente, or a helicopter ride… Live life to the full! 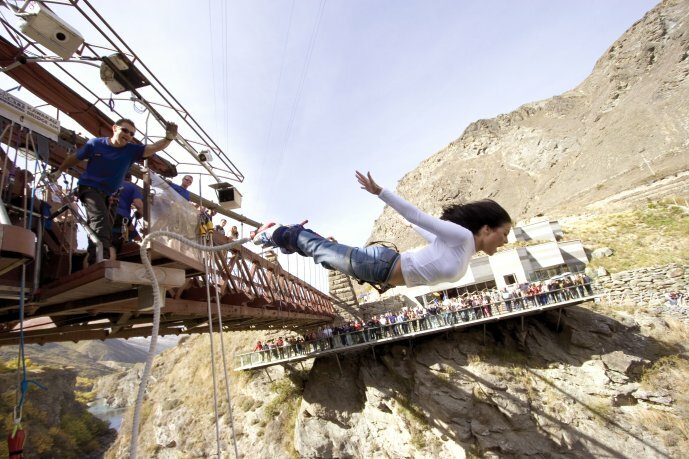 AJ Hackett Bungy Bridge: Prove you can do it by jumping 43m off the world’s first commercial bungy bridge. Photos and video are an optional extra. Gibbston Valley Winery: Savour a selection of three wines produced on site. Enjoy the winery’s well-stocked gift shop and the region’s only cheesery. Tour includes wine tasting. 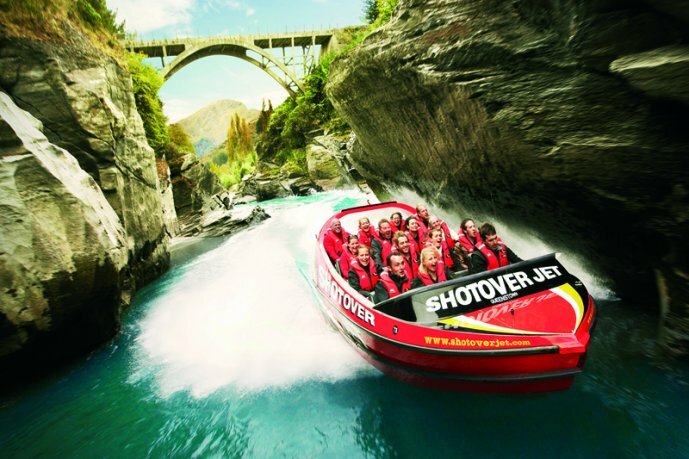 Shotover Jet boat ride: 25 minutes of blood racing adrenalin as you jet boat the Shotover canyons. 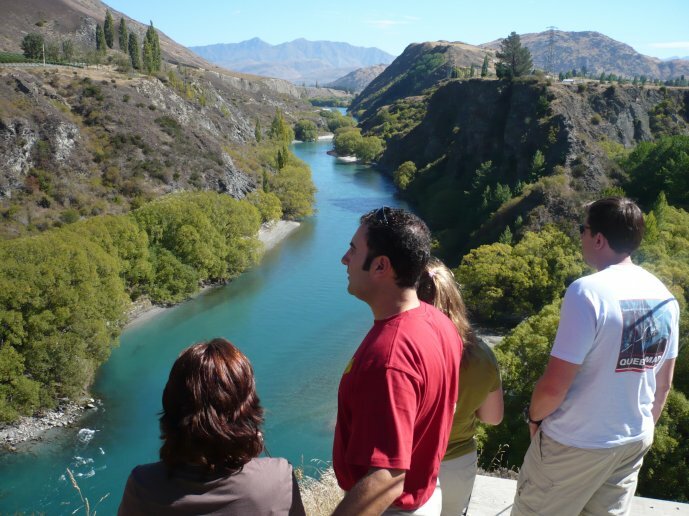 Your tour driver will help you check in at the Shotover Jet river base and then depart. 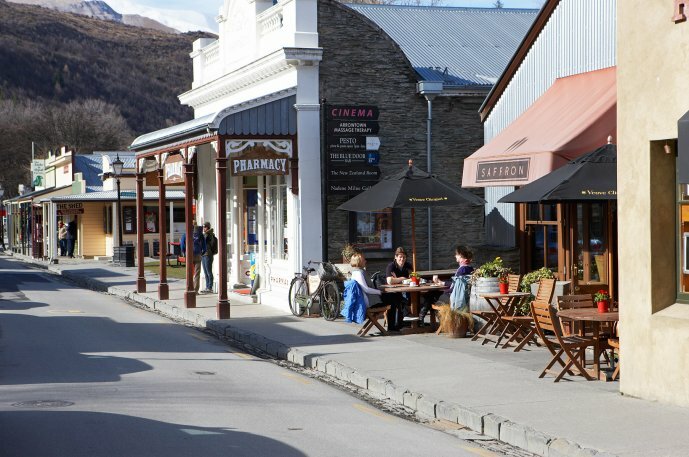 The transfer back to Queenstown will be provided by the Shotover Jet courtesy shuttle which drops off at the Station building in the centre of town. Life jacket and spray jacket provided. Summer - Sunglasses and sunscreen recommended. Winter - Wear warm clothing- hat, gloves, jacket, windproof outer jacket and eyewear.